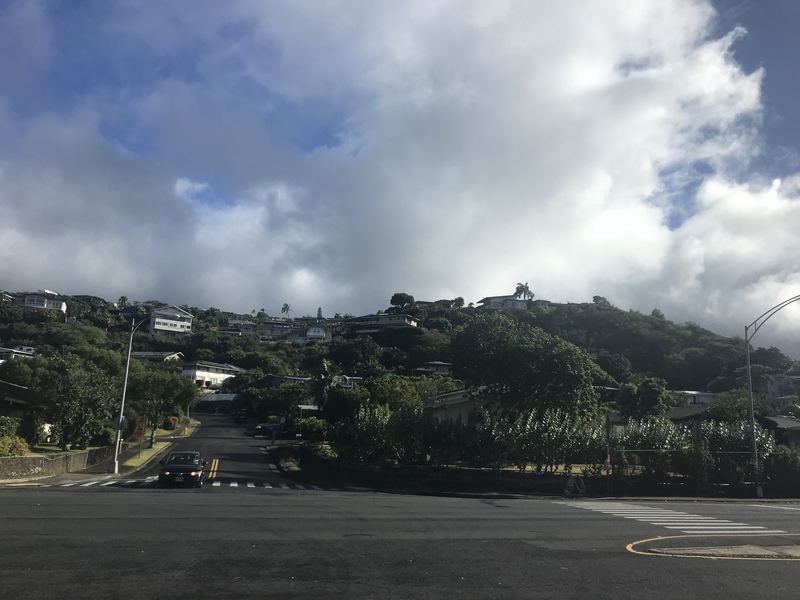 *Disclaimer: I received a free circle tour from Go Hawaii Tours in exchange for this post. No other compensation was received, and all opinions are my own. 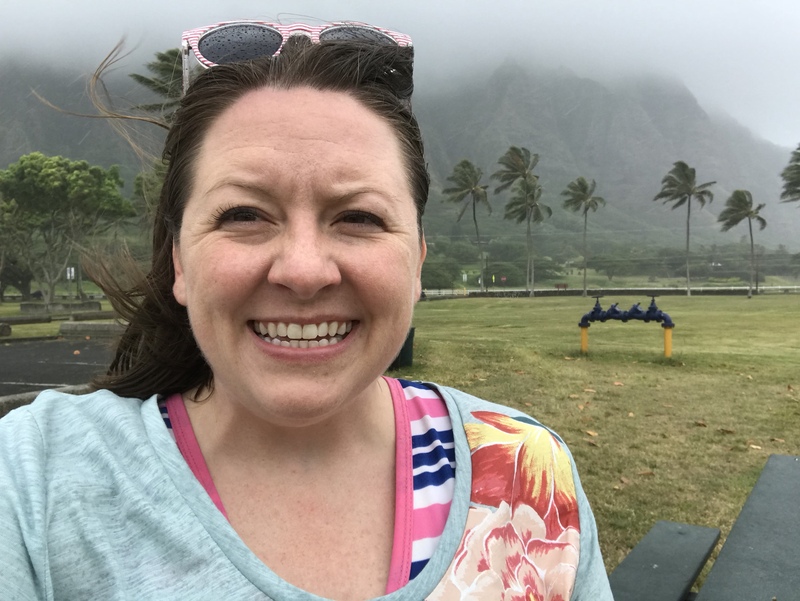 After a day of relaxation and visiting the beach and lagoon at Aulani – A Disney Resort & Spa, it was time for a circle tour of Oahu with Go Hawaii Tours. We got up super early and drove the 40 or so minutes to Waikiki where we would meet our tour bus at a local hotel. The day was dark and drizzly, but we were hoping it would clear up a little later. 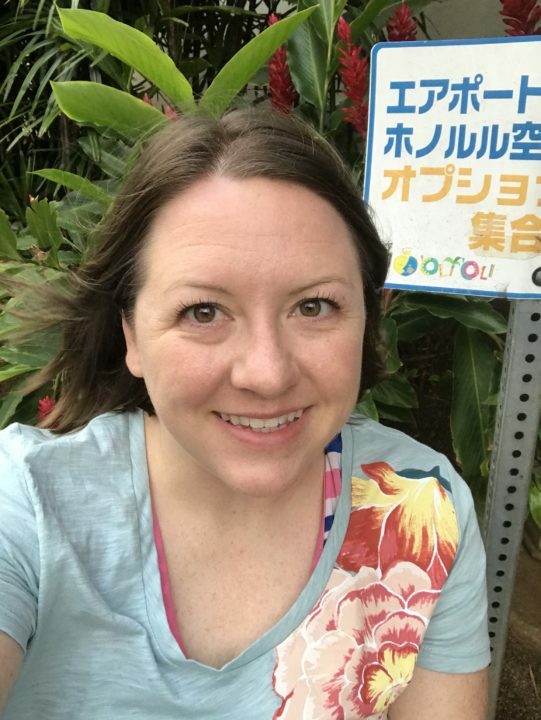 I was dressed with my swimsuit under my clothes and was eagerly waiting to explore the island and to, hopefully, see some turtles! After boarding our bus (all the seats were full, and there was an infant on it), we headed off to the eastern part of the island. 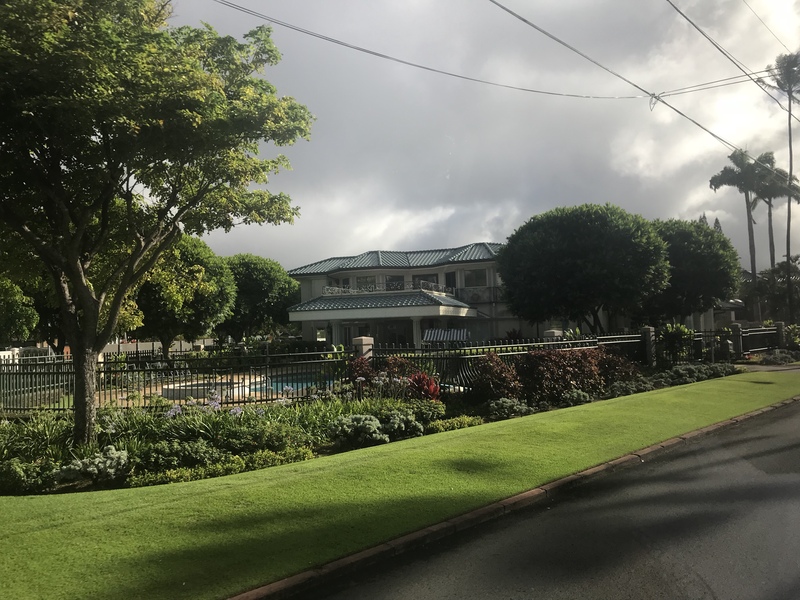 We passed the “rich” part of the island, which our tour guide called the Beverly Hills of Oahu. He said this is where some famous people live, but they weren’t allowed to drive down the neighborhood streets. There were some pretty fancy houses that I wouldn’t mind living in! Our first stop of the tour was called the “Diamond Head Lookout”. 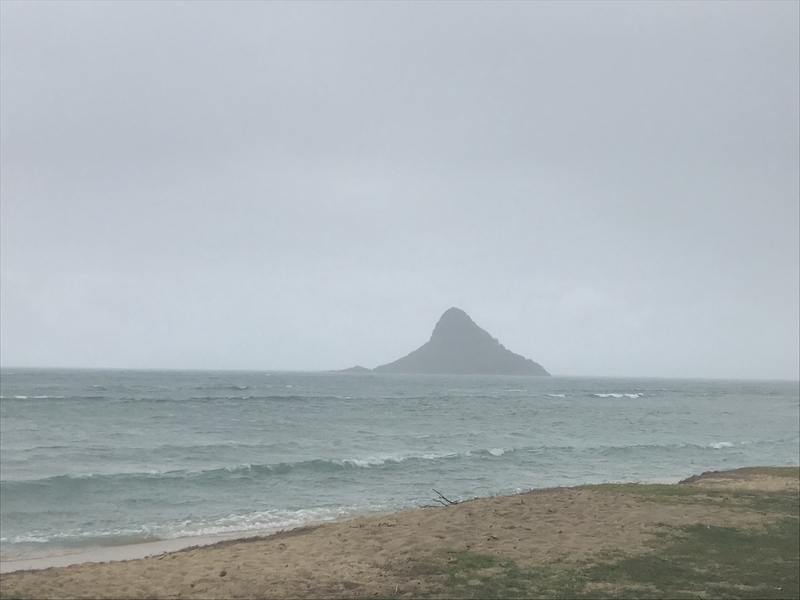 I assumed that we would be driving to Diamond Head and looking out from it. But, we were at a lookout next to Diamond Head, where we could see a beach down below. 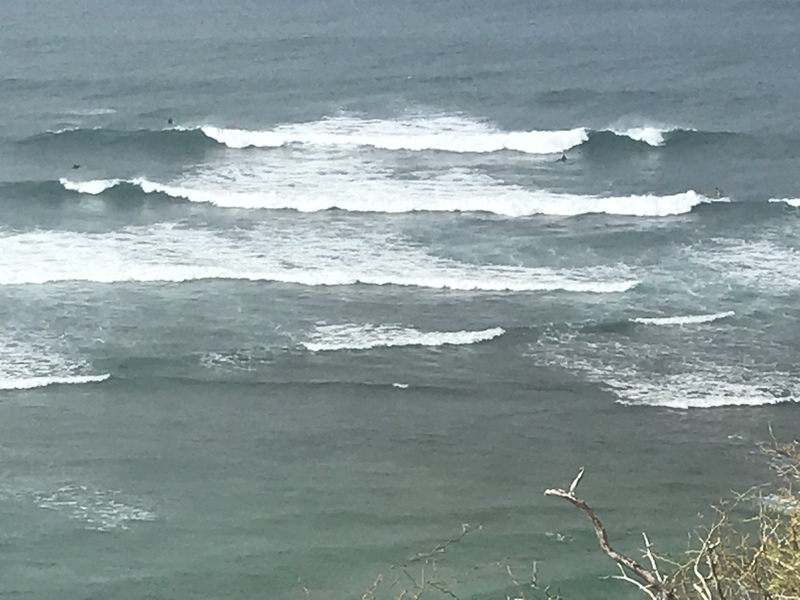 There wasn’t a very nice view of Diamond Head, which was a little disappointing, but it was nice to see a lot of waves, along with some brave surfers. 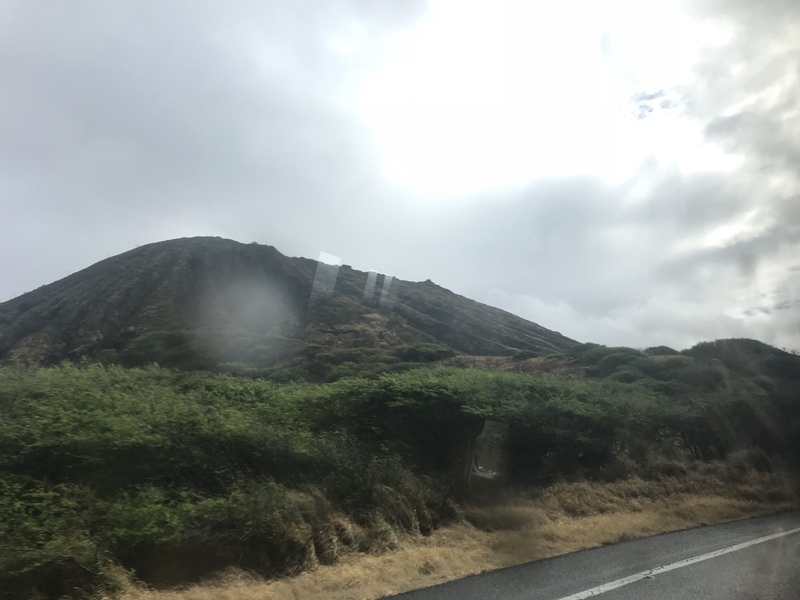 On our way to our next stop, we passed Koko Head, which has a huge hike up over 1,000 stairs on the Koko Crater Trail. I really didn’t get a good picture of this because of the rain and fog, but it looked like it would be such a fun hike! This is definitely on my to-do next time I am visiting Oahu! 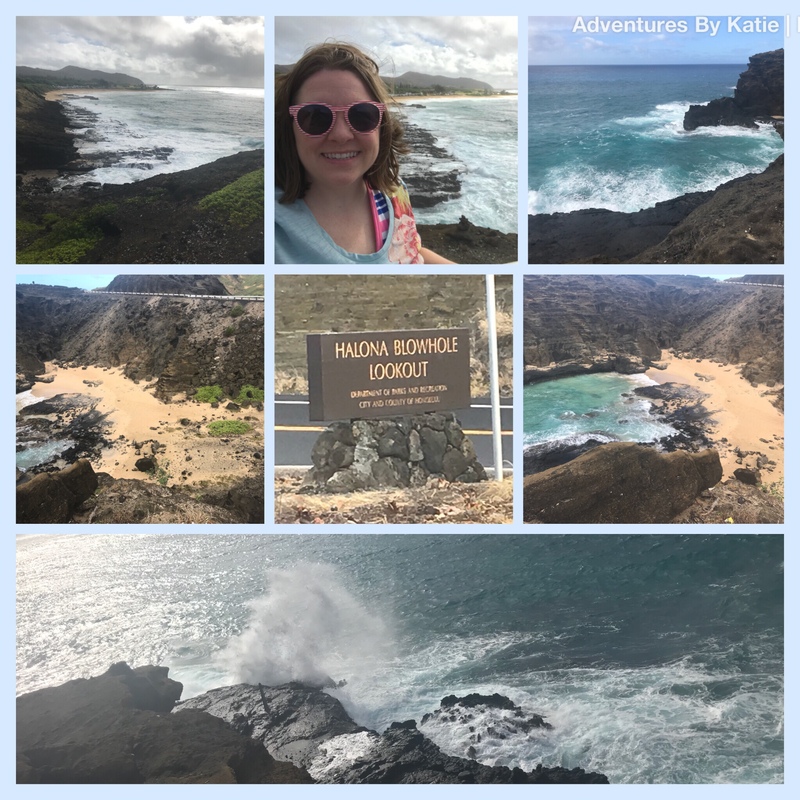 Our second stop was at Halona Blowhole Lookout. Formed thousands of years ago by molten lava tubes, water sprays in the air when it hits this area. We could see this happening, but it wasn’t as impressive as I wanted it to be. I’m going to blame this on the weather. A cool fact, though, is that the beach here was in a scene from the movie From Here to Eternity. I’ve never seen the movie, but I did watch the clip online. 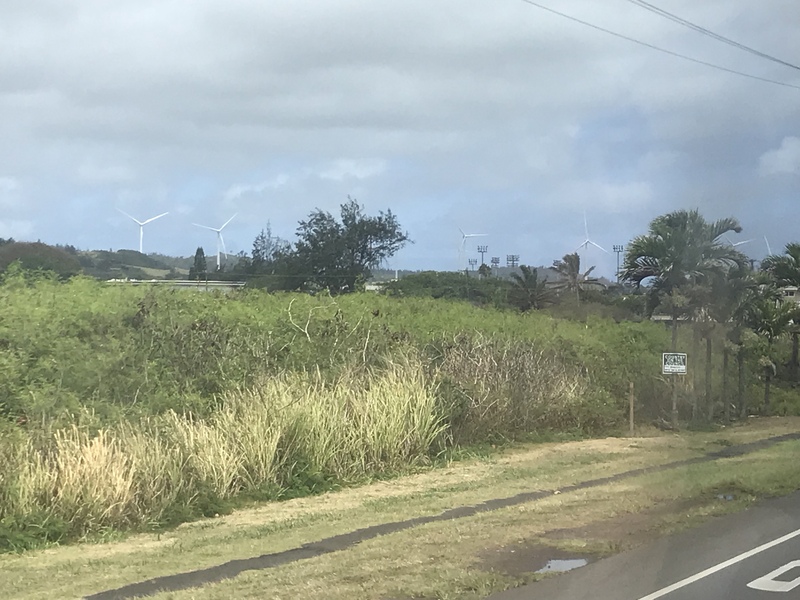 After Halona, we boarded the bus again and headed towards the northeastern part of the island where it started to be farm land. We stopped for a bathroom and shopping break at a large trinket store, but I did not take a picture of it, nor did I buy anything. 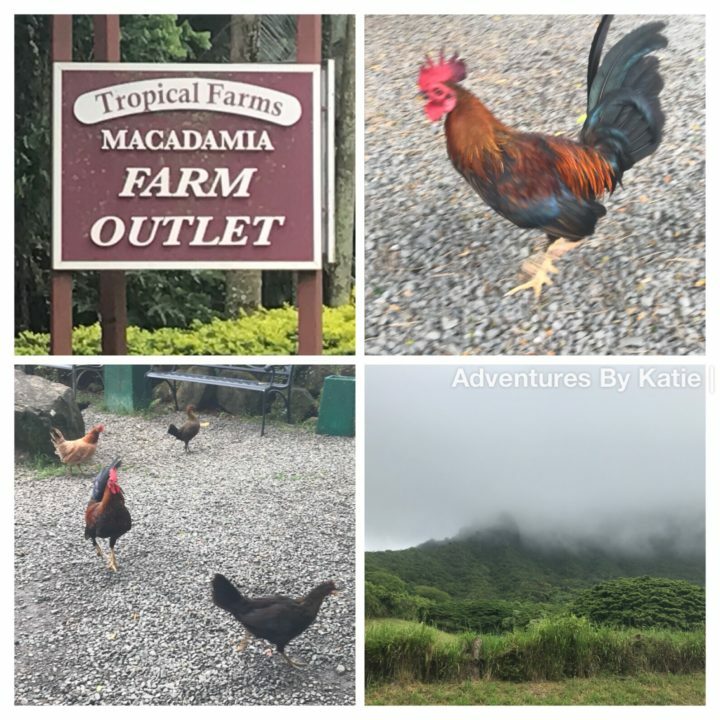 Next, we stopped at Tropical Farms Macadamia Farm Outlet. What was great about this was that there were chickens running around! So cute! We also got to sample different flavors of macadamia nuts, and we purchased a few bags to take home. I also found a Hawaiian themed children’s book that I bought for my daughter, Mixolydian. 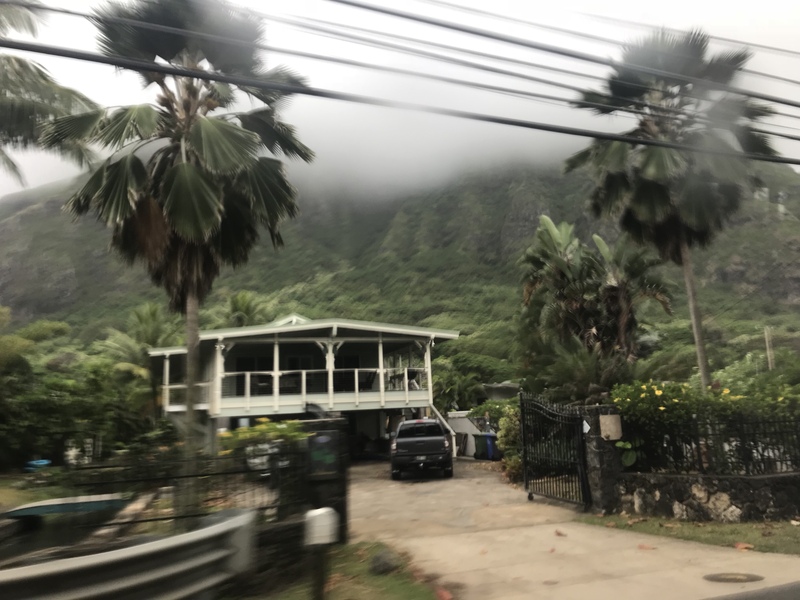 The mountain across the street was looking especially ominous, all covered in fog. 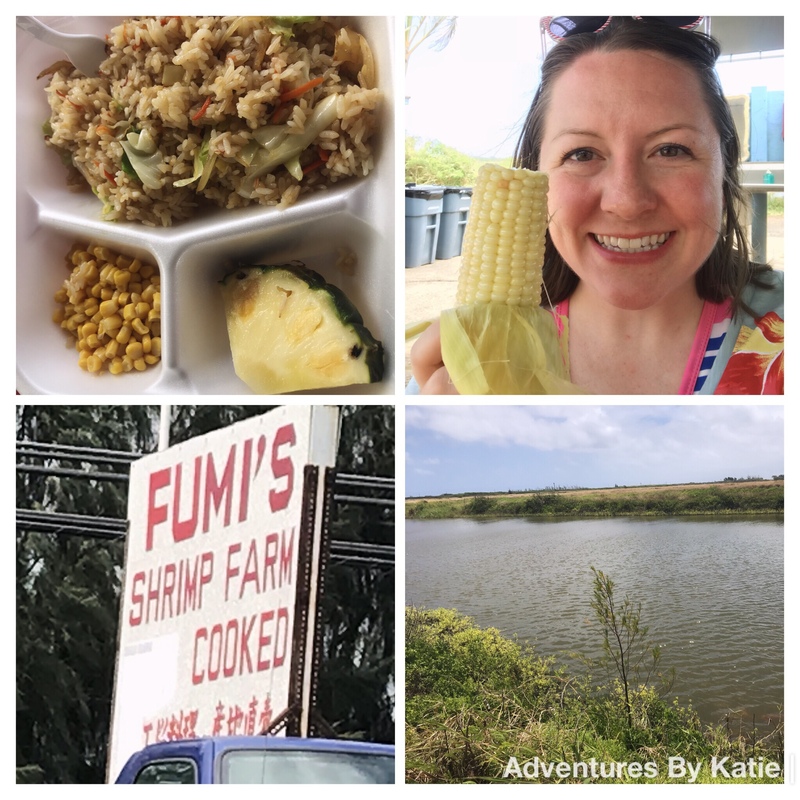 For lunch we stopped at Fumi’s Shrimp Farm. They were able to make me a vegetarian dish of stir-fried rice and vegetables, along with some corn and pineapple. It wasn’t a lot of food for the money, especially since everyone else got a lot of shrimp, but it was still good that they could make me something. 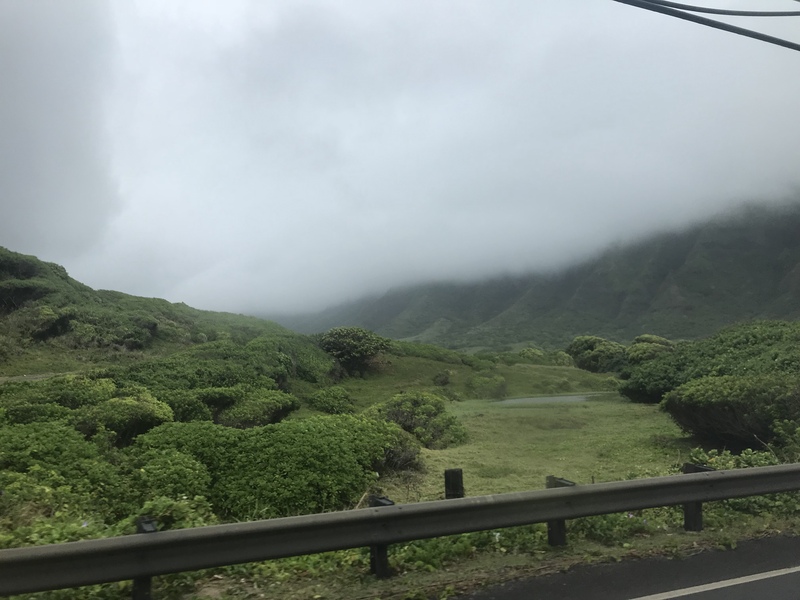 Next was a quick trip to the park across from Kualoa Ranch & Private Nature Reserve. This was near where they filmed Jurassic Park and Jumanji. Unfortunately, it really started to get windy and rainy, so we only had a chance to snap a quick picture. This was the view from the park’s beach. A little island in the distance. The wind was picking up, and you can see the rain from my sunglasses. Not many people got off of the bus for this stop, but I went and stuck my toes in the water to see how cold it would be. The sun came out a bit and we passed the Polynesian Cultural Center. I didn’t have time to visit this trip, but maybe next time. 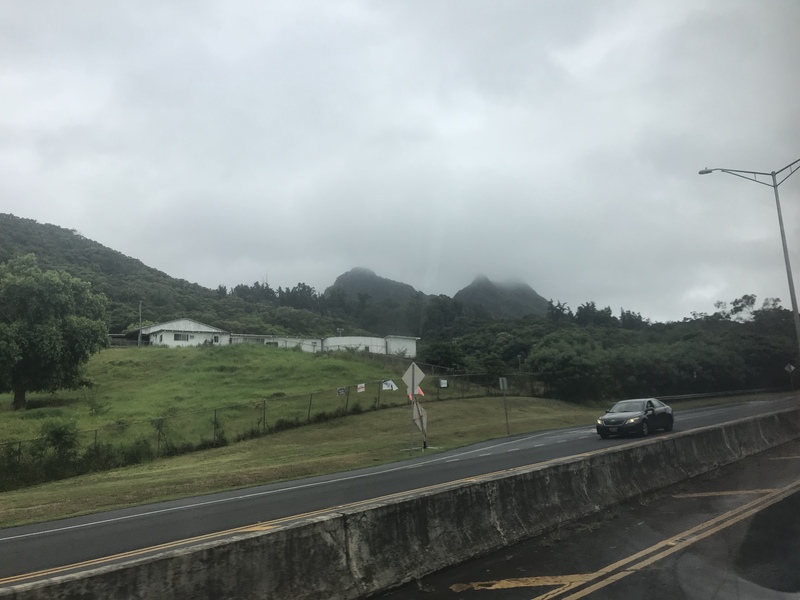 Driving to the North Shore was a lot of mountains and farms. 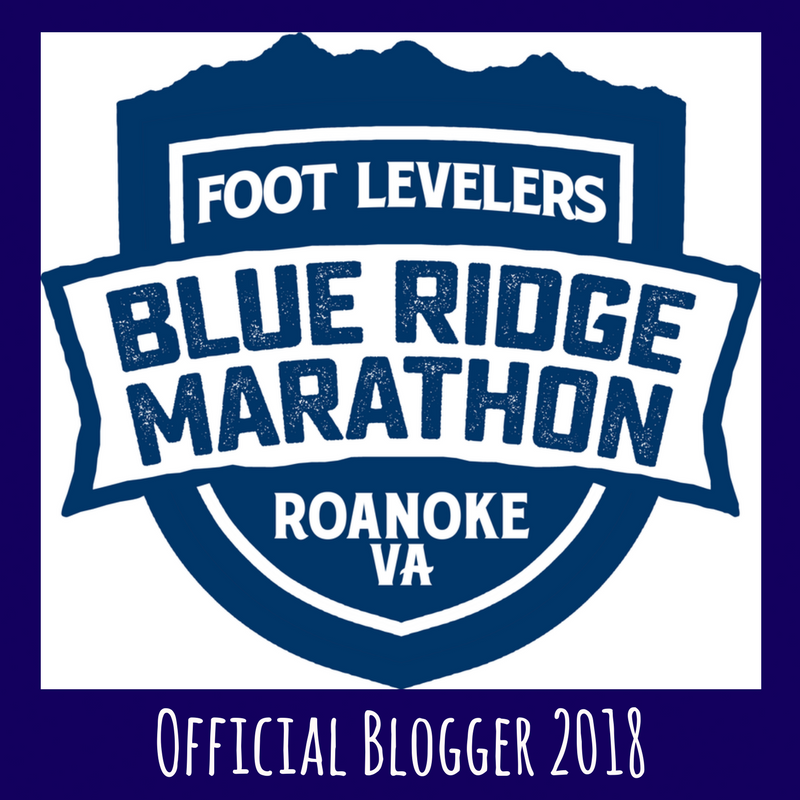 But then – wind turbines! And now, we get to the best part of the trip! Snorkeling with turtles! 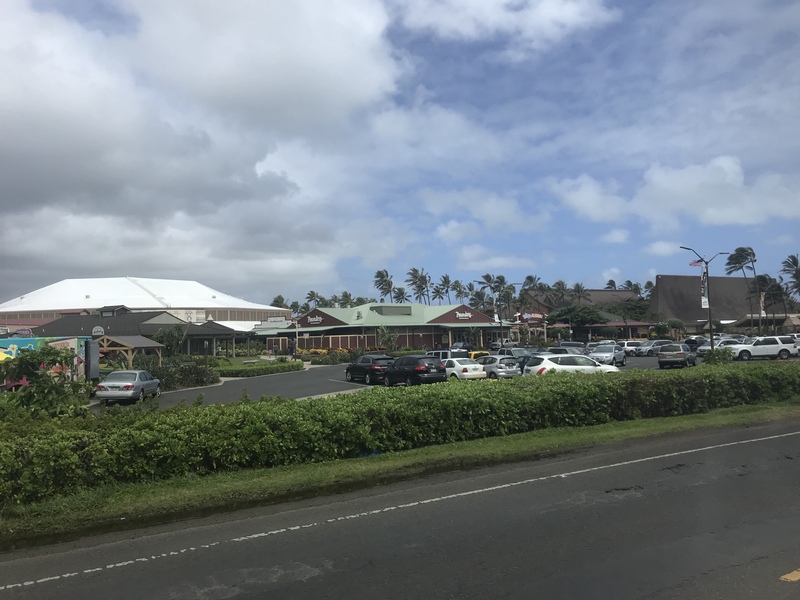 We arrived at Haleiwa Beach Park on the North Shore and went to grab some snorkel gear. The water was very murky from the rain earlier and it was hard to find any turtles. But they were there! I did get some video of some of the turtles. 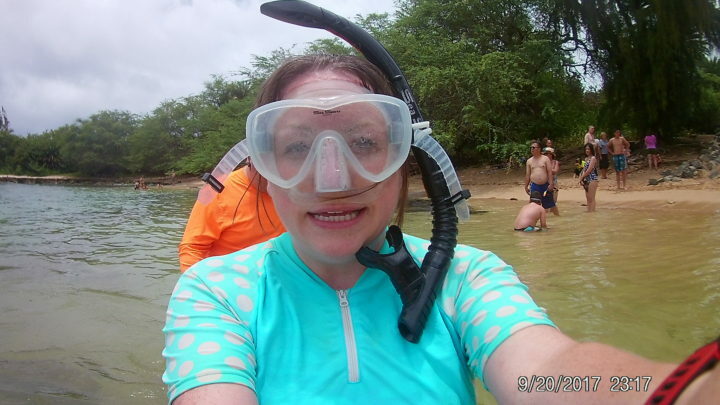 Unfortunately, my goggles kept fogging up, so it wasn’t the best snorkeling experience. But, turtles! 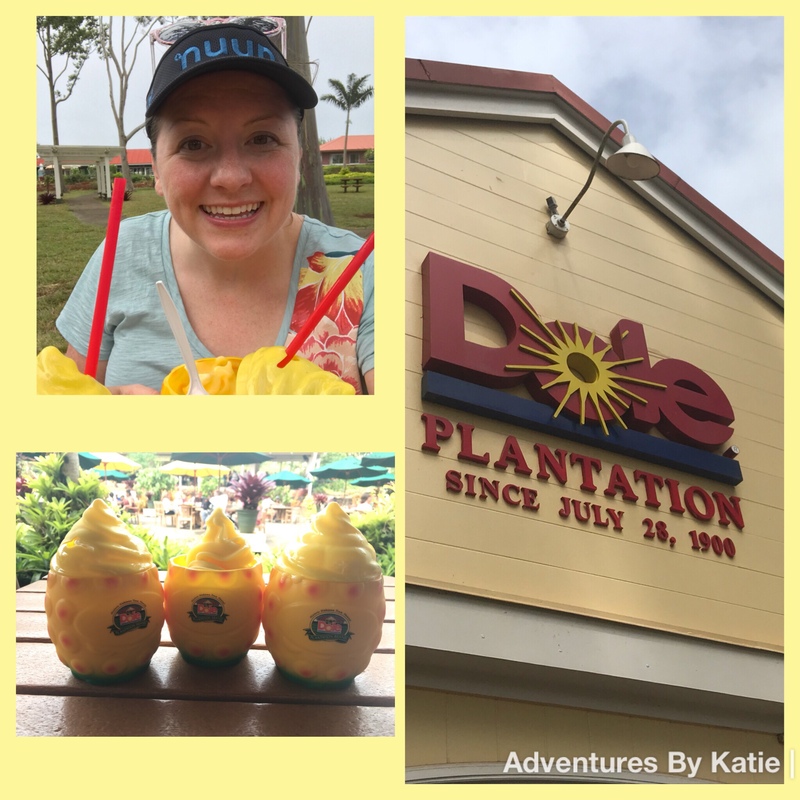 Our last stop on our circle tour was to the Dole Plantation! All we had time for was to visit the gift shop and to stand in the looooong line for a Dole Whip. They were having a special of buy 2 souvenir cups, get 1 free, so that is what we did! So much Dole Whip!!! 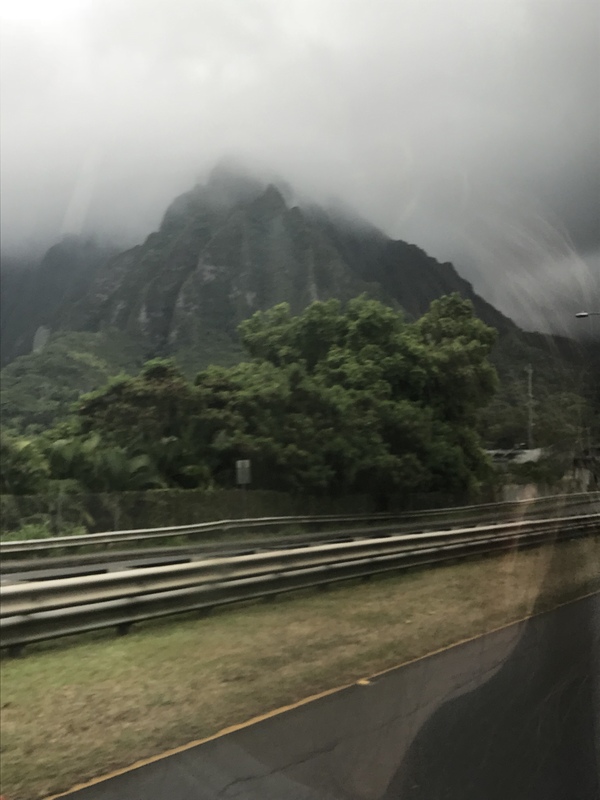 After our last stop, we got on the bus and headed back to Waikiki. I started to not feel well, possibly from the bus ride, not eating well, too much sugar, or something, so I tried to sleep a little. The circle tour itself was good. I liked the variety of stops around the island, and I loved seeing turtles. Our tour guide was informative about different parts of the island, but did tell us some strange stories, which may or may not have been true. Also, this tour is family friendly, but who in their right mind takes their infant on an 8-hour tour on a crowded bus? The baby was grumpy and cried and screamed. And it totally wasn’t his fault. The bus was hot and sticky and there was no where for him to nap. This was probably the worst thing about our day. Other than the baby, this was a very engaging, active, and fun tour. It’s a great way to tour the island without the hassle of trying to figure out what to see or how to get there!